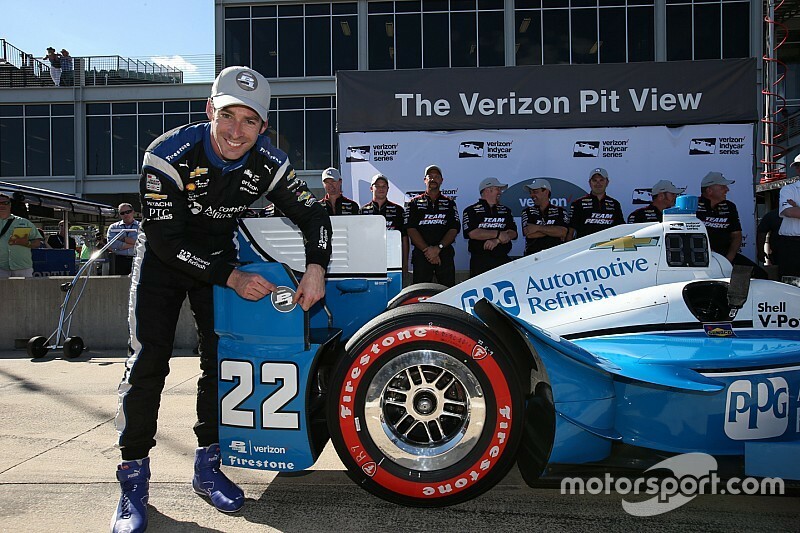 Championship leader Simon Pagenaud nailed a perfect second flying lap in the Firestone Fast Six to beat three-time Barber Motorsports Park polesitter Will Power to pole. Pagenaud, whose first three races of the season have seen him score second, second and first, was in supremely confident form to take only the third pole position of his Indy car career. With a 66.7262sec lap, the #22 Team Penske-Chevrolet driver eclipsed Power by 0.22sec as the 2014 IndyCar champion made a crucial error under braking for the downhill hairpin at Turn 5 on his first run, and could only trim hundredths from his time on his second flyer. Third fastest was last year’s Barber winner, Josef Newgarden for Ed Carpenter Racing-Chevrolet, while Scott Dixon’s last-gasp effort for Chip Ganassi Racing-Chevy saw him clock fourth. Sebastien Bourdais, who has been very quick all weekend for KVSH Racing, took fifth, and set a new track record in Q2 segment, but wasn’t able to quite reproduce that form in the Firestone Fast Six on scrubbed in red (soft) tires. 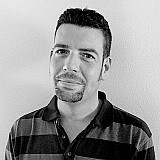 Honda’s honor was upheld by the Rahal Letterman Lanigan Racing machine of Graham Rahal in sixth. If Team Penske is happy with a front-row lockout and OK with Helio Castroneves in seventh, they will be astounded to see Juan Montoya’s #2 car starting from 21st and last. 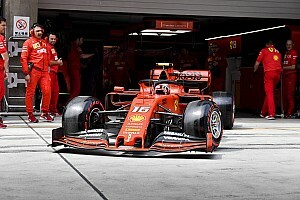 The Colombian was unhappy that his fresh red tires just didn’t yield the ultimate grip he was expecting, having struggled with understeer all weekend. 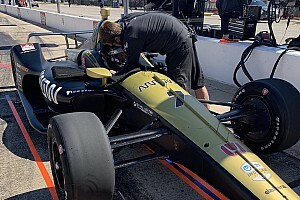 James Hinchcliffe had the opposite problem to Montoya – a great-handling car from Schmidt Peterson Motorsports, but one that didn’t yield the lap time he was expecting but he will roll off 8th, ahead of three Ganassi cars – Tony Kanaan, Charlie Kimball and Max Chilton (top rookie). For the second race in succession Luca Filippi got through to Q2 and his Dale Coyne Racing-Honda will roll off 12th tomorrow. 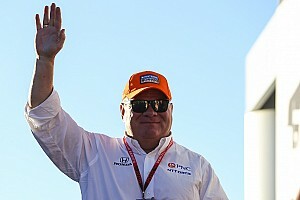 If Montoya’s troubles caused the biggest stir, another disappointment was the form of the AJ Foyt Racing-Hondas, which sank to 14th and 16th, having been fast in the practice sessions. 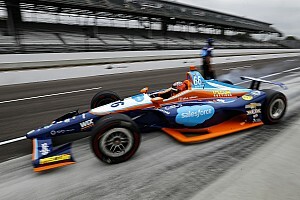 In between the Foyt cars was the first of the Andretti Autosport machines, and again that accolade went to Carlos Munoz’s #26. Ryan Hunter-Reay, Marco Andretti and Alexander Rossi will start 18th, 19th and 20th, their form appearing to be little better than at Long Beach. 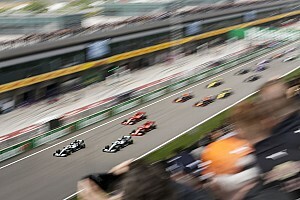 However, that question is blurred somewhat by Hunter-Reay sliding wide on his fastest run.